Nothing makes him happier...., originally uploaded by Venus In Furs. We had another warm afternoon so I took Gibson to the playground despite it having rained overnight. 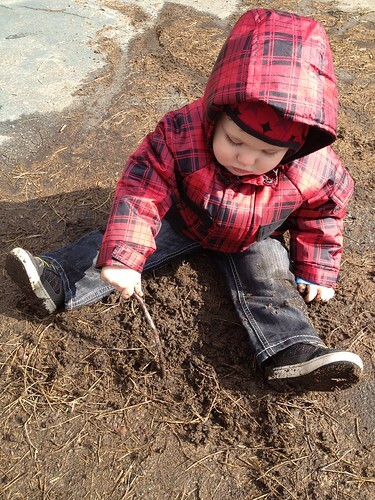 By his standards conditions were perfect (for playing in the mud)! It's one of his favorite pass times. Needless to say it was bath night tonight.